Wire Rope for Cranes | Crane Lifting Slings | Kennedy Wire Rope &amp; Sling Company, Inc. 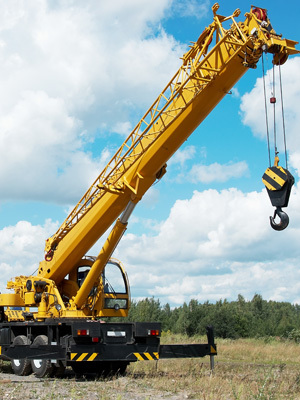 Numerous industries require lifting equipment to facilitate their operations. Out of those hundreds of sectors, the construction industry is the one whose operations rely the most on a diverse range of rigging solutions that have to be able to hoist light to heavy loads. All lifting operations, especially the heaviest ones, must be done with dependable and safe wire ropes. 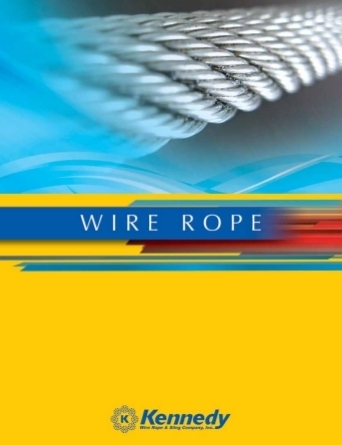 At Kennedy Wire Rope & Sling, we source our wire rope from manufacturers whose products meet, or exceed, industry standards. Our mission is to provide clients with a product that is nothing less than exceptional. Flex-X 9: Features compacted strands and swaging for increased stability and extra drum crushing resistance. It’s designed for boom hoist applications and tubing line applications where drum crushing is a challenge. 19×19 Compacted: A very flexible rope with excellent resistance to rotation and high tensile strength. Best for use with choker ropes, trolley lines, winch lines, hoist ropes and boom lines. Applications include cranes, excavating, dredging, marine, oil and logging. 35×7 Class: Features a high strength-to-diameter ratio. Its unique design minimizes rotation and torque of the rope at normal load ranges of 0 to 20% of the rope’s minimum breaking force. Excellent when load control is vital. 8 x 19 Class: Is resistant to crush and built within ISO 9001 specifications. It has one of the most stringent testing processes of any rope. From creation to deployment, industry experts know what this rope can take. Let our experienced on-site services team help you with your next wire rope slings installation, inspection, and maintenance procedure. This will ensure that you will get the most out of your equipment, with minimal downtime. At Kennedy Wire Rope, our teams are dedicated to being and remaining the industry’s leading supplier of hardware used in rigging, construction, and oil and gas operations. We also have the licenses and insurances that our customers’ depend on. Call us today at 800-289-1445 and speak with a friendly representative. We welcome any questions concerning any of our products and rigging services.